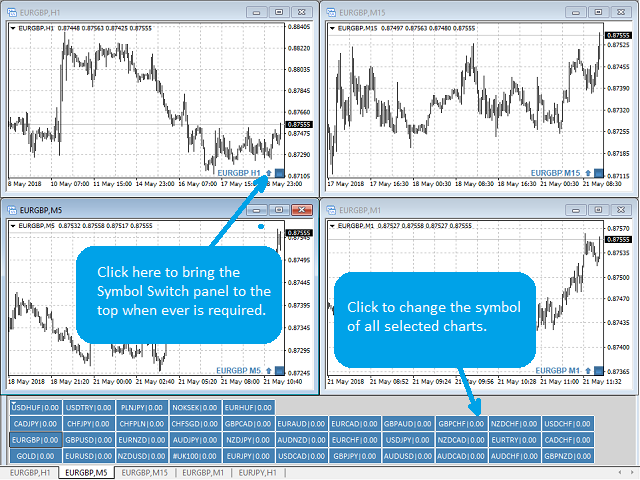 With Symbol Switch you can easily change the symbol of all open charts without losing your analysis or template. 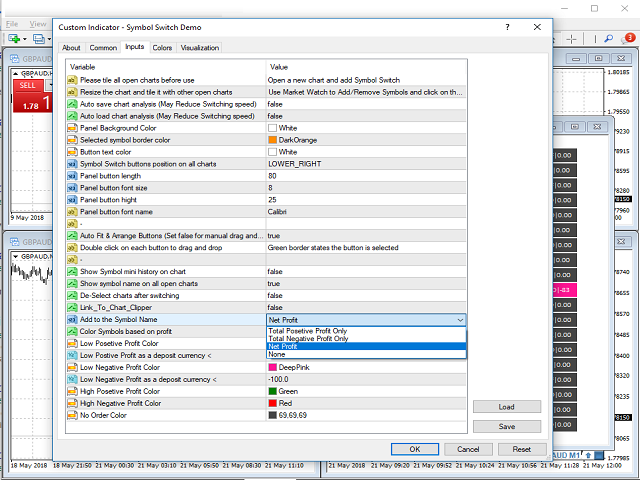 Easily monitor many symbols with only one monitor. 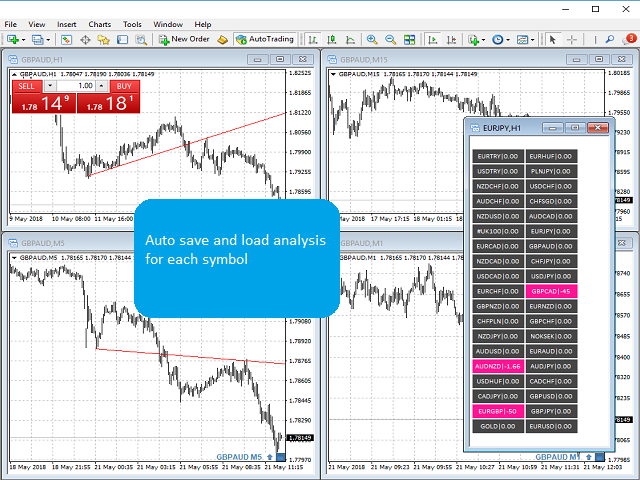 Auto save\load analysis separately for each symbol (including all graphical analysis and attached indicators). 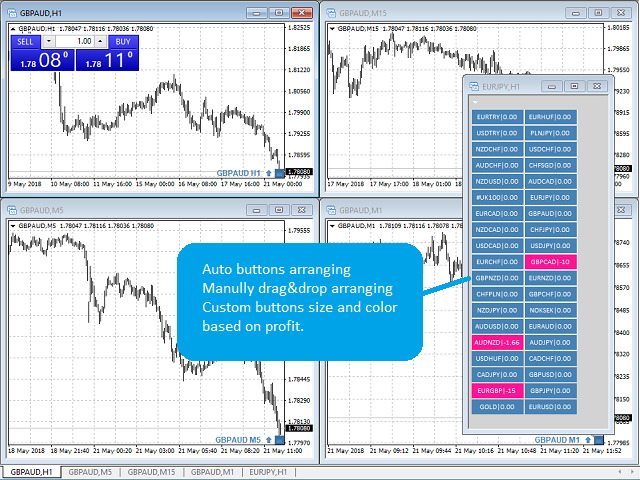 The indicator shows the symbols which are visible in your MT4 "Market Watch" window. 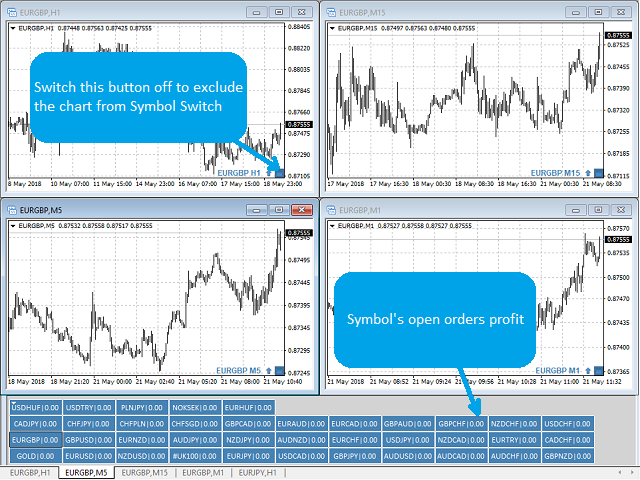 To add\remove a symbol just add\remove it from MT4 "Market Watch" window. Monitoring all symbols profit with the panel. Link to Chart Clipper: Chart Clipper users can use this parameter to only change the symbol of selected chart groups. This is a great indicator. I hope author can add "Slide Show" feature to automatically cycle symbols. Really good indicator. Would definitely recommend. Easy and useful tool. Thank you Sir. I hope that author listens my suggestion !!!!!!! Arrangeable buttons (drag and drops). Added profit display on the button near a symbol. Colored buttons based on symbol profit. Note: close the old chart with the old indicator version and open a new chart and add the new version.